St. Ivan Rilski Hotel, Spa and Apartments is an all-season 4* holiday complex, offering quality apartments for sale and diversity of services. It has a total area of about 16 000 sq. 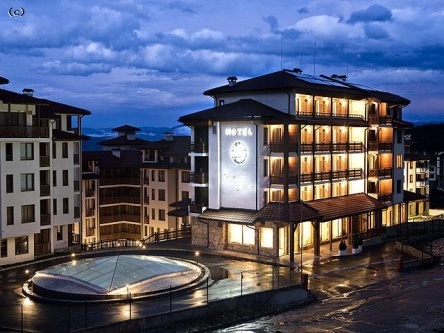 m. and as its name suggests, consists of a hotel, a spa centre and 4 luxury apartment houses. 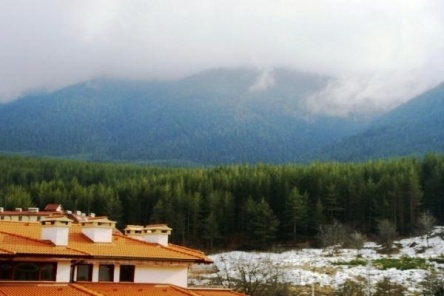 Built in the distinctive Alpine architectural style coupled with traditional regional and national elements, the development is a true paradise for those seeking comfort, tranquillity and splendour. 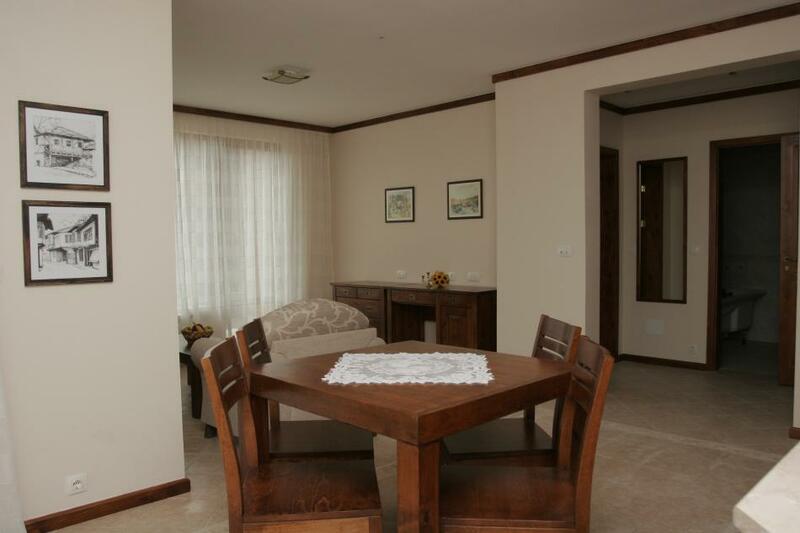 The residential part of the complex consists of 4 apartment buildings with a total of 162 apartments of various types. Studios range from 39 to 48 sq. m.; One-bedroom apartments are sized between 60 and 70 sq. 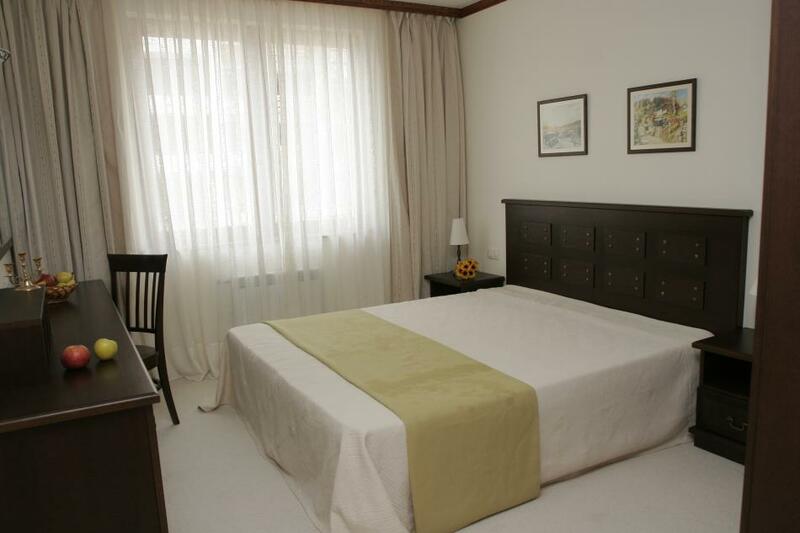 m. and two-bedroom apartments are around 100 sq. m. of size. 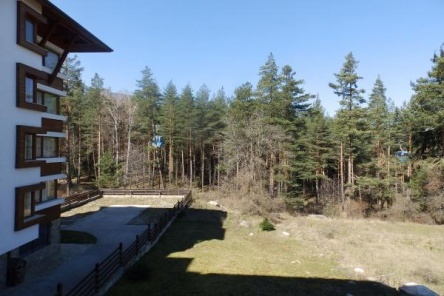 All apartments have terraces that offer breathtaking views of the surroundings and the magnificent peaks of the Pirin Mountain. 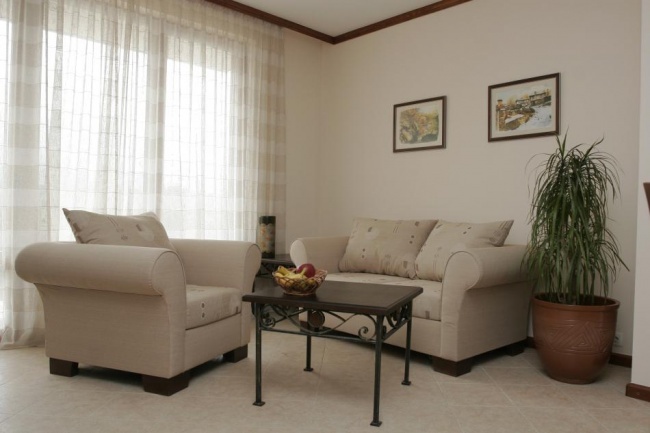 The luxurious apartment buildings offer their own set of additional services to their residents. 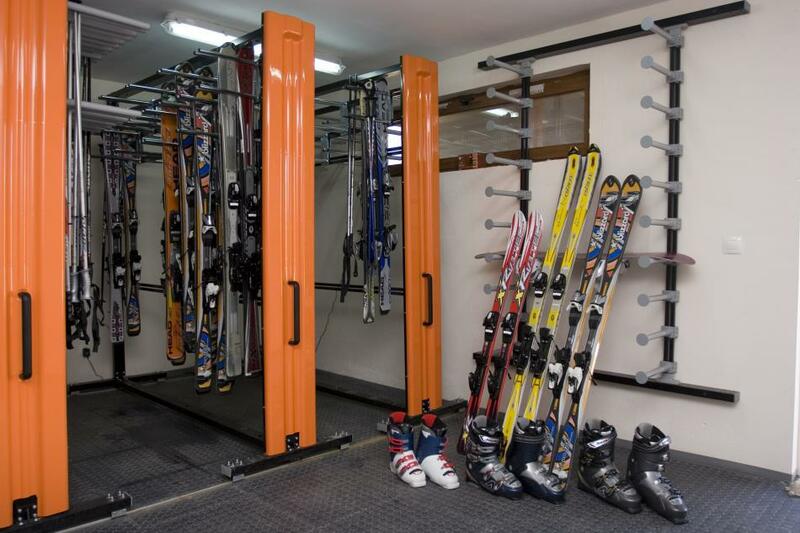 On the lower levels, there are recreational and entertainment areas, as well as private lockers for ski and equipment storage. The entertainment rooms are equipped with televisions, pool-tables, tennis–tables and seating for 10 to 20 people around cosy fire places. Designed to provide maximum comfort and relaxation to residents, the day spa have saunas, steam–baths and pleasantly quiet relaxation areas. The day spa interiors are designed in the fang shoji style following the blueprints of eastern traditions to maximise delight, relaxation and recreation. 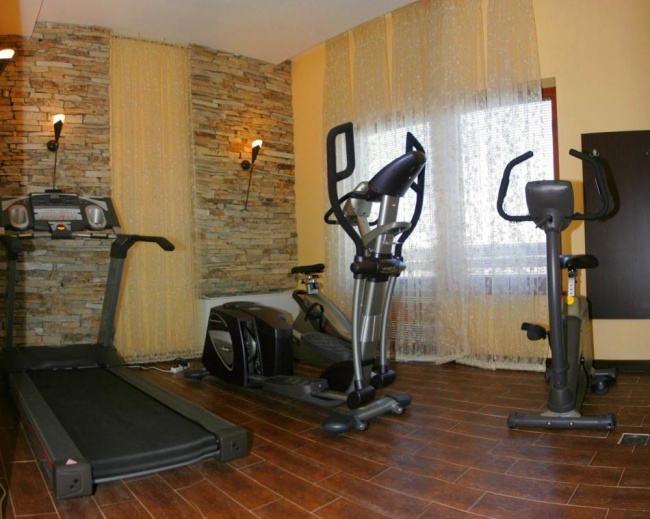 The St. Ivan Rilski Hotel, located within the borders of the development, offers various amenities that are easily accessible to residents. 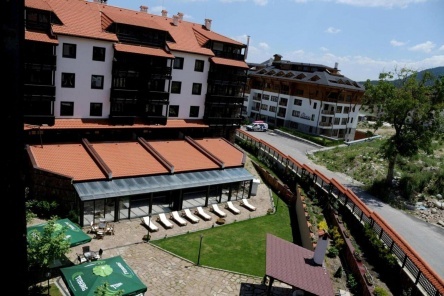 These include the biggest Spa Centre in Bansko, 3 restaurants, 2 bars, a pool bar and 3 conference rooms. 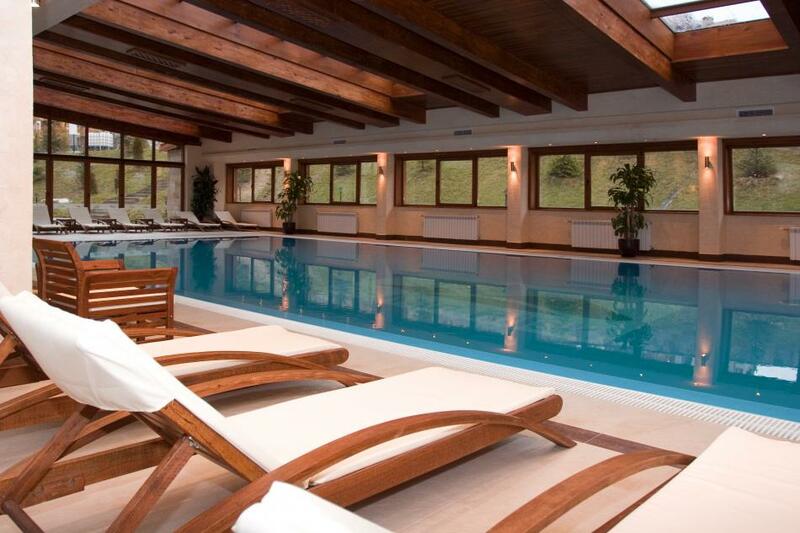 The Spa Centre spreads out over more than 1000 m and has a swimming pool, sauna, steam-bath and a fitness centre. A professional team offers modern, individual wellness programmes, traditional and contemporary treatments as well as healing and relaxation methods. To complement the wellness centre, one of the restaurants is a bistro that serves healthy food including vegetarian and organic meals. 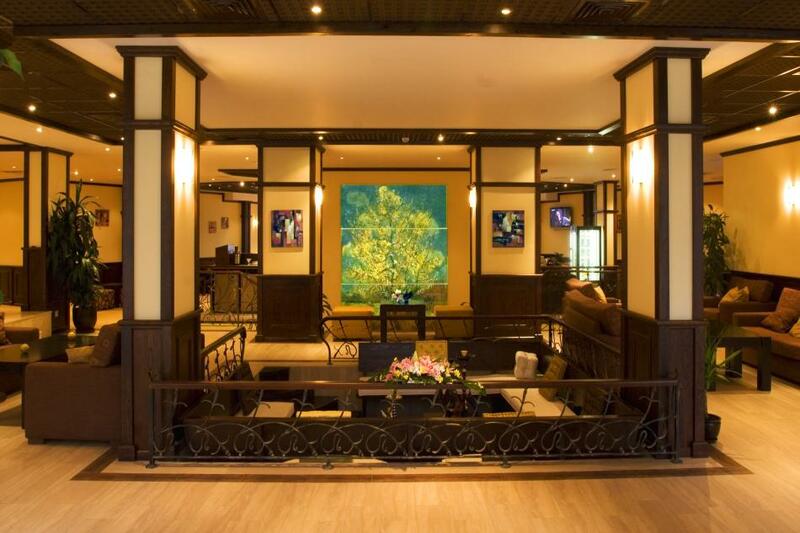 The two other restaurants prepare meals from both the traditional Bulgarian and international cuisine. 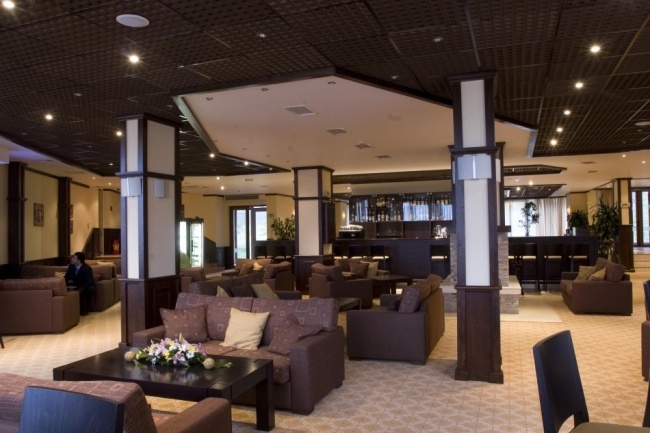 Both bars and the pool bar offer refreshing and exotic drinks, tea and coffee. 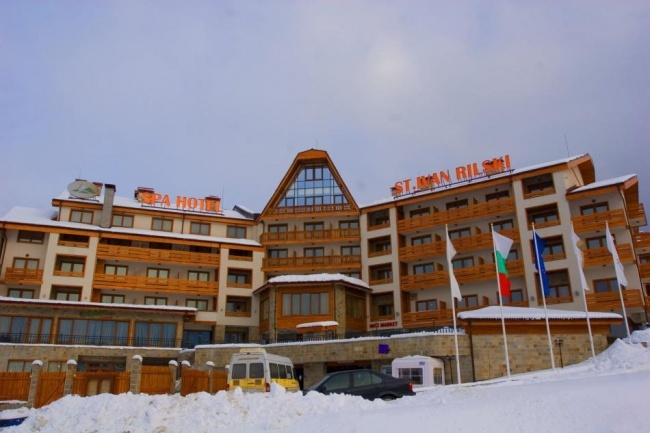 The St. Ivan Rilski Hotel, Spa & Apartments is located in Bulgaria's most famous ski resort Bansko, 160 km from the capital Sofia and about 50 km away from the border with Greece. 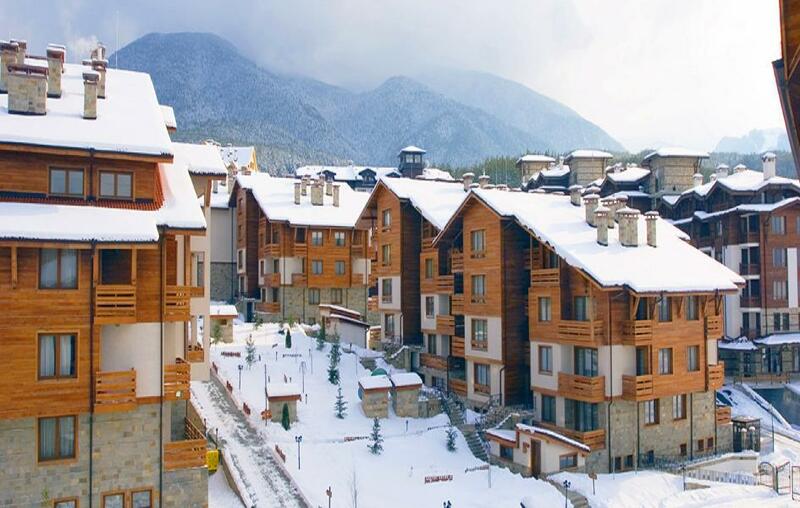 Bansko lies at the Glazne River at around 925 m above sea level. 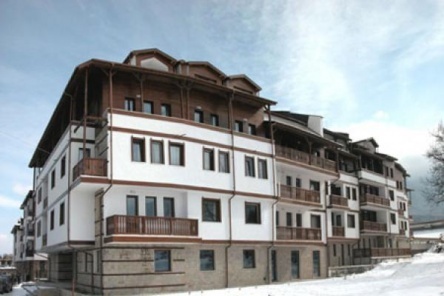 The development stands about 800 m away from the nearest lift station and just a 10 minute walk to Bansko's city centre. 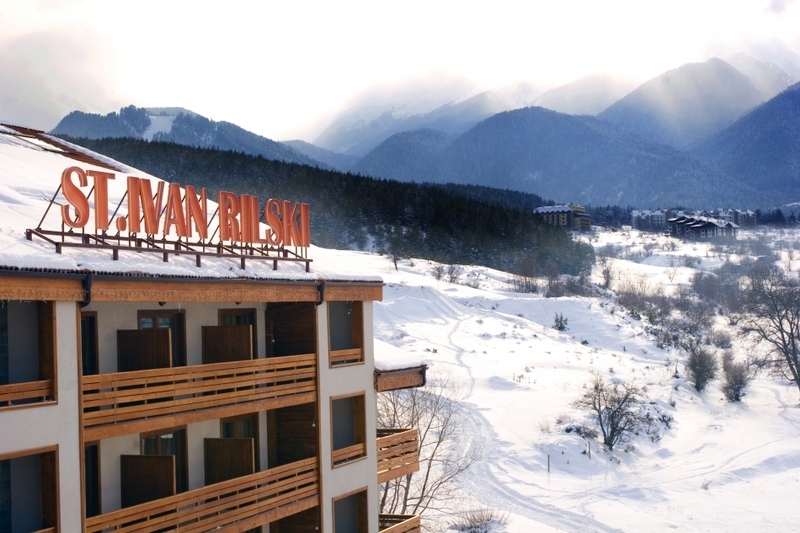 Bansko has earned its fame as Bulgar ia's best ski resort. 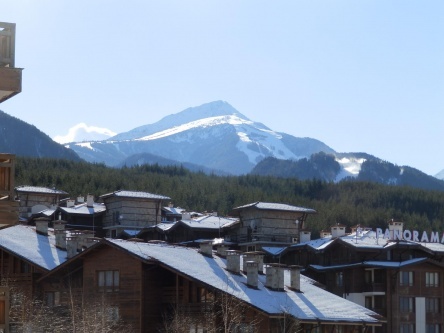 It offers 17 ski slopes of various difficulties, including a 16 km uninterrupted ski run. In the past 3 years investment in ski facilities has been over 140 million Euros and another 100 million are planned for the next 3 years. It has snow machines and a night run for a fascinating experience from December till May. There are 22 different lifts and the resort's capacity reaches 10,000 skiers per day. Bansko has also a glorious history which is appreciated by its visitors. Its beauty and magnificence are well preserved notonly in the town's architecture and style but also in its ambience, impression and of course, its friendly and hospitable people. During spring and summer, Bansko transforms itself into a beautiful, cool and refreshing mountain resort that offers many other activities. Surrounded by the Pir in, Rila and Rhodopite Mountains, the town's settings are ideal for mountain biking, climbing, and ecological tourism. The healing powers of its natural water reserves are not to be underestimated while its quiet and peaceful environment provide for the perfect relaxation and recreation. The building materials used in the construction are of highest quality, suitable to the local climate and perfectly matching the natural beauty of the site. - white wall plaster and traditional wooden and stone coatings on the outside. - roofs made with a wooden construction, covered with red tiles for a charming finish. 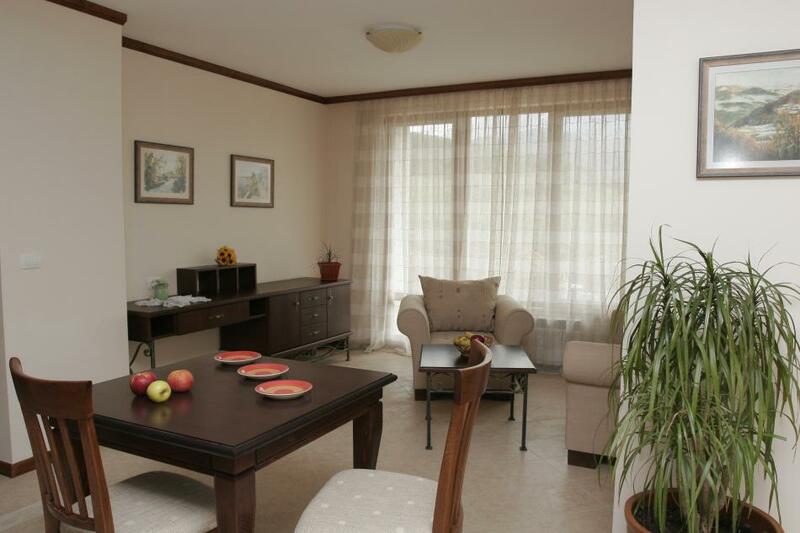 Apartments in St. Ivan Rilski are finished with installed heaters, all floorings done, painted walls and fully furnished bathrooms. Floorings in living rooms, dining rooms, kitchens and terraces are covered with ceramic tiles; bathrooms have ceramic tiles both on the floor as well as on the walls; bedrooms come either with carpeting or with euro parquet on the floors. All rooms except for the bathrooms come with painted walls. These finishes are included in the apartment's cost. Naturally, anyone will be able to choose from many different colours and designs. Furthermore, there are several furniture packages to choose from and avoid the hassle of looking for furniture in a foreign country. 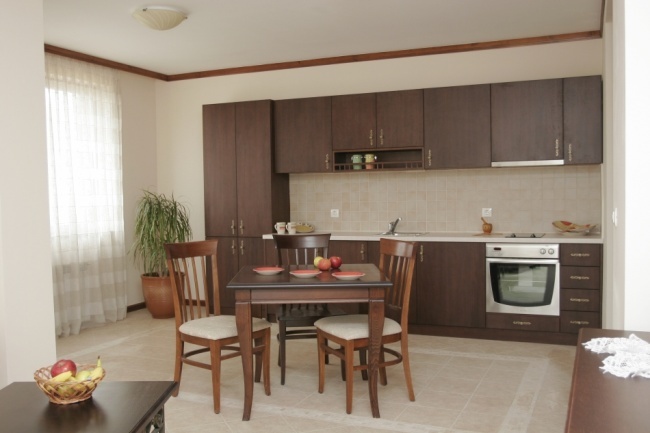 These options include the necessary furniture for every room, as well as electrical appliances and other equipment. Of course, all materials used in the apartments are of the highest quality and guarantee the comfort of your apartment. 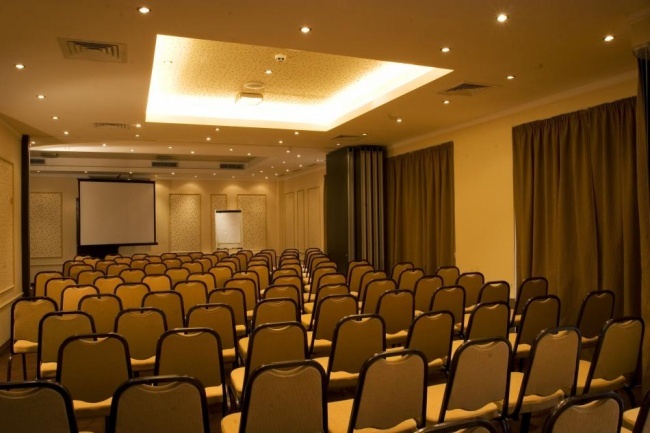 The variety of furniture packages allow for both modern and classical designs. Only now - free furniture for each apartment! At St. Ivan Rilski owners enjoy several exclusive services that are designed to maximise the potential of your investments in the project while saving you time and money. The maintenance of the common parts and all green areas within the complex as well as 24-hour, year round security are taken care of by the company at a small annual fee that all proprietors are required to pay. Furniture packages, repair services, cleaning, home upkeeping and insurance packages are also available through the managing company to all owners of apartments within the development. To maximise the return on your investment, St. Ivan Rilski offers rental management services where the company rents out your property while you are not using it. All owners of apartments at St. Ivan Rilski contribute to the overall maintenance of the holiday complex by paying an annual fee. The amount to be paid depends on the size of the properties owned. 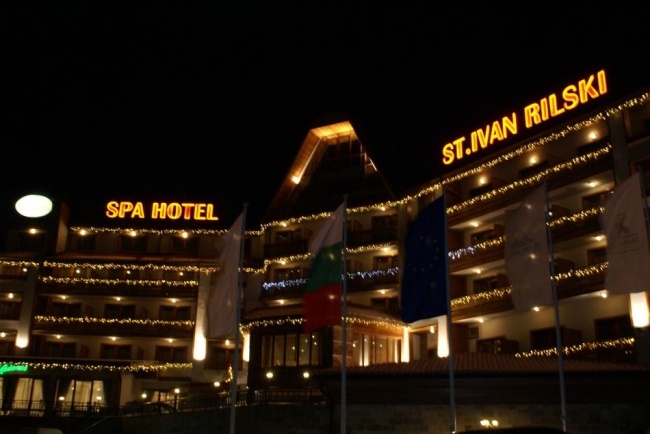 The amount of the maintenance fee, scope of the maintenance and the basic rules of using apartments at St. Ivan Rilski are part of the maintenance contract, which is obligatory for all owners at St. Ivan Rilski. The essence of this contract is to make sure that the complex will remain a comfortable place to live in and will keep its current aesthetic design. It is important to know that the fee for the first year is payable on the day of transfer of property rights or before that. Then, the annual fee is payable not later than the end of February of the current year. The amount to be paid by owners may change in accordance with the inflation in Bulgaria (change of consumer prices in the country) – these figures are officially published each year by the National Statistical Institute of Bulgaria. The maintenance of the complex does not cover overhauls inside the apartments, renovations of the supply systems in the villas, taxes and other costs of ownership for the apartments, etc. According to Bulgarian law, these costs are borne by owners. 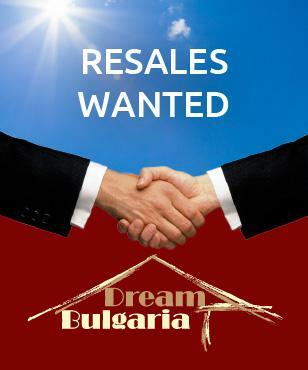 St. Ivan Rilski may only pay them on behalf of owners, if they wish to. Some of the St. Ivan Rilski clients take advantage of the rental management service and rent their apartment out when they do not use it. The renting out of apartments is part of a separate contract between the property management company FPPM and the owner of the property. Owners may specify two weeks of the high tourist season, in which they will use the apartment themselves so that the property is rented out in the remaining period. As owner, you need to specify this in advance so that we know when to rent the apartment out. The marketing, advertising and promoting of your apartment to tourists is the first obligation of the property manager as per the rental contract. With regard to this, the property management company signs contracts with tour operators and other organizations to provide for a maximum occupancy of apartments rented out at St. Ivan Rilski. To rent the apartment at St. Ivan Rilski out, you need to make sure that it is furnished according to 4-star hotel standards (all our furniture packs comply with these standards), to provide your apartment with the specific additional equipment (TV set, towels, bed linen, toaster, plates, cutlery, etc. ; all of them part of the Additional Equipment Pack); make sure that bills for the apartment are paid on time (assistance can be provided) and cover the costs for keeping the apartment clean. Outside of the high tourist season, incl. in the summer period, the property management company continues to take care of the property by paying bills, for instance. The property manager keeps the apartment clean and maintains it in a state to be successfully rented out to tenants. During the periods when the apartment is rented out, the property manager keeps the apartment ready to be accommodated (i.e. clean, equipped with needed items such as towels, various consumables, etc.). The costs for utilities such as electric supply, water supply, cable TV, etc. are included in the rental price. 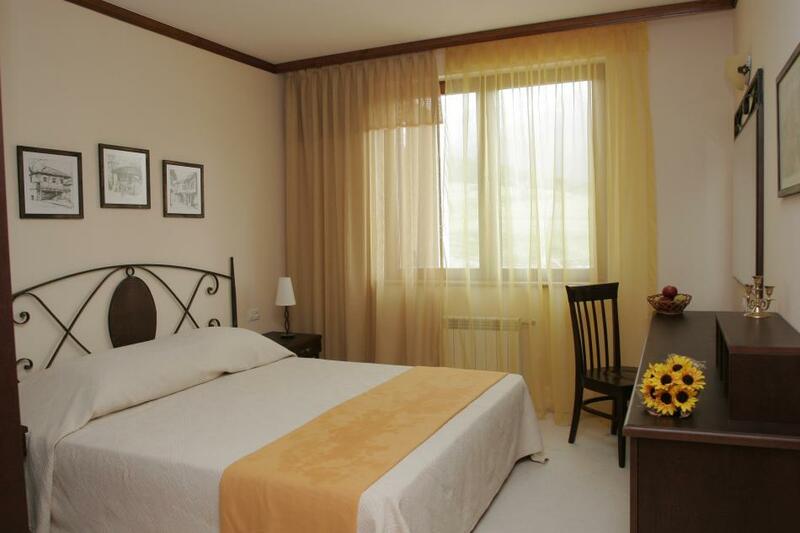 The everyday cleaning, as well as the change of bed linen are also among the services rendered to tenants. The property manager keeps you informed about the periods in which your apartment is rented out, about incomes, costs to be covered out of the tourist season, etc. For the marketing and management of your apartment, there is a percentage and/or fee of the income yielded which is due to the managing company. The rest of the income is paid to you each year. The payment is made to the bank account of yours that you specify in the contract. Therefore, if you change your bank account, address or e-mail, you need to inform your property manager so that they transfer the amount into the right account. Price includes VAT and furniture!